Location: Every diner you've ever been to. Kiwami, I can't keep being your mirror universe counterpart if our opinions on Ultraman are going to line up so much. I never minded Spark Dolls in Ginga, but I think it was pushing it keeping them around during X. The "clearly just a vinyl toy" look is more problematic in a show with an actual budget. Still, I have to admit, from a marketing perspective, they were genius. Ginga S Episode 02: Yup, I really like this. I'm glad I finally gave Ginga a chance. Maybe it's time to revaluate my theory. Maybe you're just from the mirror universe were Kamen Rider Ghost is good but the rest is pretty much the same? Although... maybe you're just trying to invoke a false sense of security so you can strike while my guard is down? I won’t make it that easy, you moustache-wearing fiend! Still, I have to admit, from a marketing perspective, they were genius. Absolutely. In-universe relics, real life figures, complete compatibility with the transformation devises. They are great toys. I just got done finally watching the Geed movie and believe it or not, I really liked it. What a twist, right? I'm not totally sure how I'd say it stacks up against other Ultra films, but of all the post-series movies we've been getting since Ginga S, it probably has the strongest story. There's a pretty well executed character arc for Riku here, even though a movie like this could've totally gotten away with being a shallow excuse for some fun action, and the writing overall is tight. Managing to make a climactic speech where everyone takes turns quoting Geed's catchphrases, in order, come off as natural is an especially impressive feat. In contrast, not a lot of the action stuck out to me, but it needs to be said that when the standards are set so high for Ultraman's production values to begin with, that's nothing to be ashamed of. The fight scenes still look utterly gorgeous, and with Sakamoto directing, you'd better believe there are some epic explosions in there. Finished Ultraman Ginga S. I liked it. But I already said that, right? Anyways, instead of just saying how good everything was I want to point out one episode in particular: Episode 11, "The Tears of Gan-Q". Man what a fantastic piece of Toku. So absurd, so emotional, so awesome. I don’t want to spoil the fun for anyone who hasn’t watched this show yet but this one made me very happy. Episode 11, "The Tears of Gan-Q". Man what a fantastic piece of Toku. So absurd, so emotional, so awesome. Oh, definitely! It's so good I felt the need to specifically single it out in my post about Ginga S too. Heck, with the masterpiece that is "Gan-Q's Tears" in there, the rest of the series could be awful and I'd say it was worth it. Any "best of" compilation of Ultraman episodes isn't complete without it. 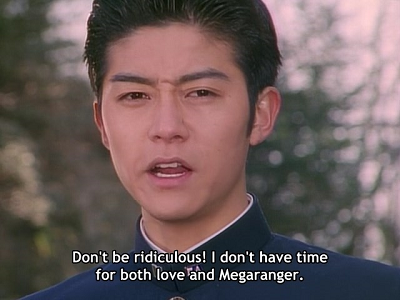 Tsuburaya must agree too, given it was just featured in New Generation Chronicle a few weeks ago. *Ultra Q is the first show of the series but Ultraman isn't in it. His first appearance is in the '66 Ultraman show that followed Ultra Q. Given the length of the franchise, are there some entries that some would recommend over others? How would one go about "Ranking All Things Ultra and Ultraman"? 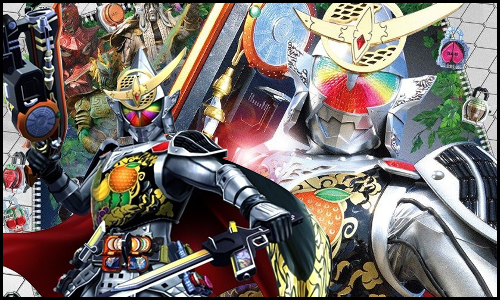 That "Tears of Gan-Q" alone has me curious, especially if it's an episode which incorporates all that a Toku can be! But I can safely say all of those are worth watching. Since they aren’t too long, you can probably just causally watch through them. Yeah, all of the New Generation (Ginga onwards) isn't too bad. They're each about 25 episodes, and apart from Ginga before Ginga S (and probably Orb before R/B) could probably jump around all you want. Speaking of which, I should really watch an older series; I've done everything Ginga forwards but somehow nothing before. How long is a standard installment? I saw that Ginga and Ginga S both have about 12 episodes. What is the meaning behind "New Generation"? My earlier intent was to see which Ultra series are considered the "Best of the Best", not unlike a poll which notes fan-favorite Sentai or Riders. Not hard to find one of them! I'm no good at organizing lists myself but if FerrousMaelstrom wants to see an older show and TokuKnight89 wants to see top tier Ultraman, Mebius gets my vote in either case. It's 50 episodes of pure joy.